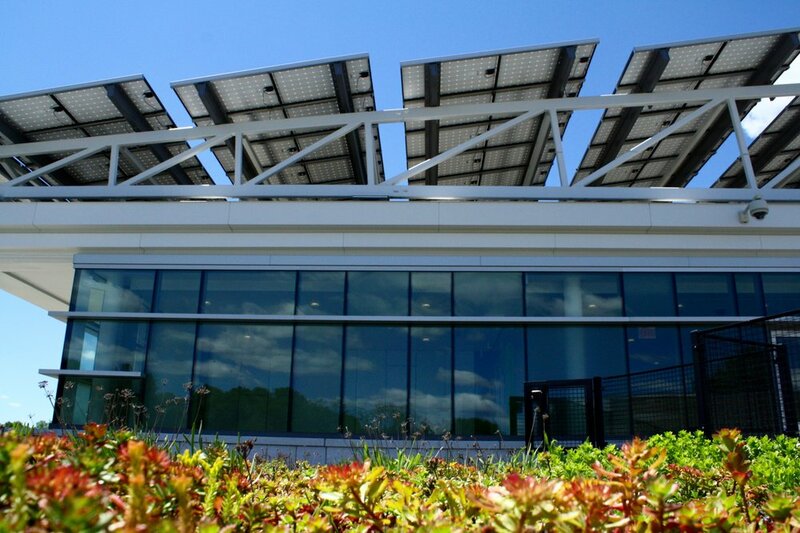 NSCC's state-of-the-art Health Professions & Student Services Building is the Commonwealth's first state-owned zero net energy building and received a LEED Gold status in 2011. Recover took over maintenance of the existing green roof to correct inconsistencies in sedum health due to inadequate establishment. Recover's maintenance department implemented a remediation program that brought the roof to 95% plant coverage, improved function and aesthetics, and returned the roof to the school’s original vision. Recover corrected inconsistencies in plant health by addressing installation issues, testing soil and making amendments with slow release organic fertilizer, weeding, planting new sedums to fill bare areas, and adding temporary irrigation during dry seasons.